The grandson has founded a new company, Kids Double Desk and has plans to bring this desk for kids and other products to the market, but let me tell you about this “Double Desk” because it looks like a fun DIY project that I can’t wait to get my hands on! This desk for kids comes as a DIY kit. All the wooden parts are pre-cut. The hardware is provided and the one tool to put it together is provided. You just sand the wooden pieces and finish it with paint, stain or oil. 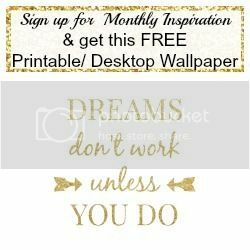 Express your creative side, I just love that you can customize your own desk with colors to match your own decor or your kids favorite color. Not to mention the kids could help paint and really appreciate their desk even more…maybe they might even keep it clean….oh well we can dream! The tops are offered with your choice of chalkboard or whiteboard vinyl. How clever is that! What I like about it is how sturdy and safe it is. The seats are built into the desk. So you don’t have to worry about the chair tipping over. And nothing moves. No moving parts. You can see just from the design that nothing is going to tip the desk over. There’s nothing else like it. The desk is designed for small children ranging from toddlers up to about 70 lbs. The seat is definitely oversized to help prevent falls, but should they happen, it’s is only 12 inches above the floor. The width of the desk is 24 inches and the length is 48 inches. There are two storage areas on both sides, perfect for putting away the books and craft materials. For those parents who homeschool, this DIY desk would make a great industrial arts project. The desk is made from Baltic Birch. This is stronger,denser and more attractive than regular birch plywood. I like the fact that I can finish it to my particular taste. Not only can I finish it to look the way I want it to look, but I can buy the finishes I want and know that it is made from a child-safe material. I can be certain that there is no lead or other cancer-causing chemicals on my kids furniture. Kids Double Desk has a blog post specifically about this topic at http://kidsdoubledesk.com/zero-voc-paint. I like how the two seats face each other, with the inclined tops separating the kids. The twincesses can talk to each other, but stay out of each other’s personal space. There’s no question that the space each kid has is exactly the same as the other child. For those parents without twins, I can still see this being a perfect beautiful fit. Whether you have several young children or the occasional playdates, this is a great desk for young children that will last for many years.